Remarkably, the terms of reference of the Inquiry under Lord MacLean made no mention of collusion. When MacLean did come to deal with the concept, he adopted such a narrow definition of collusion as to make it virtually impossible to show that it had happened. The difficulties this put in the way of finding the truth have been compounded by the restrictions on evidence brought in by the 2005 Inquiries Act. Short of an individual State official confessing on the record that he or she has connived with named others to set up a murder or other crime, it’s hard to see how a finding of State collusion can now ever be arrived at. The MacLean Inquiry was established in 2004 on the recommendation of Peter Cory, a retired member of the Canadian Supreme Court who had been asked by the British and Irish Governments to examine a series of cases where allegations of collusion were being made. Cory also recommended inquiries into possible Garda collusion in the Provisional IRA killing of Lord Justice and Lady Gibson in April 1987, and into allegations of Northern security force collusion in the Pat Finucane, Robert Hamill and Rosemary Nelson cases. The Rosemary Nelson Inquiry opened in April 2005, the Robert Hamill Inquiry the following month, the Billy Wright Inquiry the month after that. No Inquiry has begun into the murder of Pat Finucane because the Finucane family doesn’t believe that the proposed inquiry would have the capacity to get at the truth. The findings of the Wright Inquiry will have strengthened the family in their belief. Collusion, in MacLean’s view, referred to deliberate agreement to carry out unlawful acts. But taking deliberate decisions or deliberately turning a blind eye to a situation which facilitated the unlawful act would not amount to collusion. On this definition, the outcomes of the Hamill and Nelson Inquiries would appear to be foregone conclusions - and not conclusions which will bring any comfort to the families concerned. At the same time as emasculating Cory’s recommendations, the Blair Government took steps to hobble public inquiries generally. 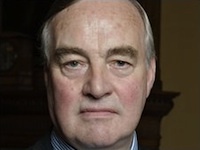 Lord Saville commented on the introduction of the 2005 Act that if the measure had been in force at the time the Bloody Sunday Inquiry was established he would have refused to chair the Tribunal. He went on to say that he believed it would be contrary to the judges’ oath to take part in an inquiry under these terms. Clearly, Lord MacLean took a more amenable view. What Saville and a number of other establishment figures objected to was that the act allowed the Home Secretary not only to set an Inquiry’s terms of reference but to dictate what witnesses could be called, what documents could be compelled, which, if any, parts of the proceedings could be held in public, and so on: how could an inquiry restricted in this way be considered “independent”? But the act sailed through parliament anyway. A number of Tories and independent Lords argued against it on libertarian grounds, but the bulk of Labour MPs trooped tamely into the lobbies to ensure it went through. What’s clear from all this is that the British authorities not only have no intention of allowing the truth of their role in past atrocities to come out, they are willing to achieve this by changing the law when the law doesn’t suit them, manipulating those elements of the judiciary who are open to manipulation, and indulging in shabby semantics about the meaning of words they find ominous. We should keep all this in mind the next time we hear the oleaginous Owen Patterson talking about the right of bereaved families to know the truth. Everything said here about the British applies, too, to Dublin Governments from 1974 onwards in relation to the Dublin-Monaghan bombs.